Siblings don’t always get as much credit as they deserve. Sure, they don’t buy you Trader Joe’s gift cards or help pay your rent (thanks, mom and dad), but they’ve always been on your side. When you snuck out of the house, they kept your secret (albeit in exchange for an entire month’s allowance); they took you trick-or-treating, and let you borrow their clothes and drive their car. They’re the built-in best friends no one ever actually asked for, but got anyway. And who better to get a tattoo with than your oldest companion and confidante? 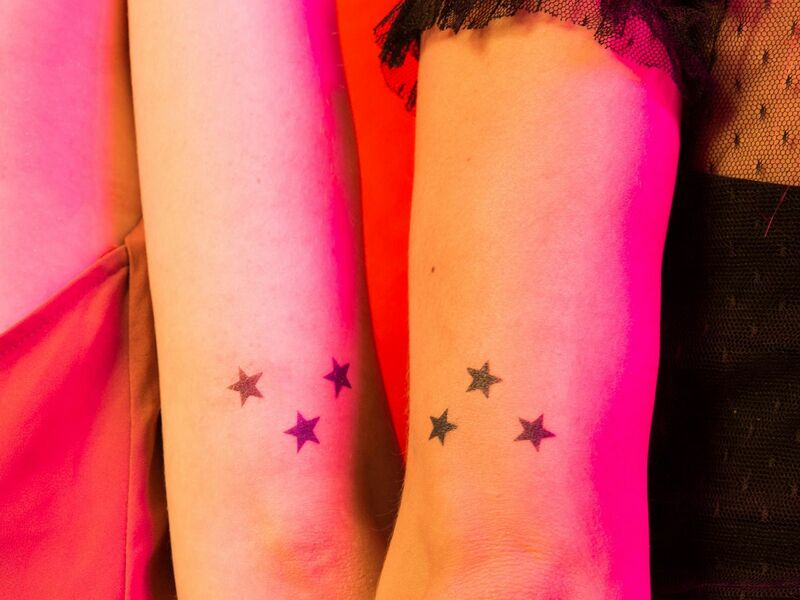 You and your sister aren’t twins — so why should your tattoos be? New York artist Kelli Kikcio created these unique tattoos for two siblings who dig realistic fruits and florals. In search of inspiration that doesn’t feel cheesy, but is still sentimental? These sisters got the window sills from their childhood home imprinted on their skin forever. Flowers are trending, but could herbs be the detailed design you get with your sis? Consider complementing the details with some color, like red or white ink. Although artist Tea Leigh kept the brighter lines to a minimum, the modern addition still looks rad. A lot of people have said the ditch of the arm is one of the most uncomfortable spots to get inked. Good thing your sibling will be there to hold your hand, right? Sometimes it’s the simplest — or most unlikely — image that has the most meaning. The kind of tattoo your parents won’t freak out about: a tribute to your grandmother and her impeccable penmanship. Commemorate your twinship with matching constellations. Or get spiritual with your unique take on some traditional symbols. Getting a technicolor tattoo from Gong Greem in Seoul gives you and your sibling an excuse to book that vacation you two have talked about going on for years.